TAMPA, Fla., June 18, 2012 /PRNewswire/ -- SunView Software Inc., one of the fastest growing providers of IT service management (ITSM) software, today announced availability of SunView ChangeGear 5.0 featuring new Cloud/SaaS deployment options ... built-in ITIL service workflows enabling organizations to leverage IT industry best practices regardless of ITIL expertise. IT organizations, regardless of maturity, can take advantage of out-of-the-box ITIL processes to achieve rapid results in key IT areas: IT services support, IT controls for regulatory compliance, and automation of infrastructure management. Wow, "Without Requiring ITIL Expertise...regardless of ITIL expertise... regardless of maturity". Who'd have known "services support, IT controls for regulatory compliance, and automation of infrastructure management" could be so easy? So ITIL support is new to this release? What superb marketing spin to trumpet the fact that you are ten years behind the market. Yup, it's rubbish. Crap, in fact. It is in the same Crap Factoid category that earlier pile of bovine excrement, BMC's "ITIL out of the box" (and again two years later). I hope SunView are not following BMC's marketing lead, as that will mean they will appear on the Crap Factoid Warning Service as often as BMC do - a lot. did you know you could use it to get 12 ITIL processes up and running in your environment in 30 minutes? SmartCloud Control Desk is unique in that not only does it make it easier to maintain, administer, and manage multiple ITSM processes, it provides a solution that can be deployed very quickly. The solution supports 12 ITIL processes out-of-the-box, including Problem & Incident Management, Catalog & Request Management, License & Procurement Management, IT Asset Management, Configuration Management, Release Management, Change Management. IBM are a company that should know better, or are they? After all they sold their service desk. Fortunately this stuff from SunView and IBM is clearly marketing drivel. There are so many bitter and twisted veterans of ITIL around that IBM and SunView will probably harm themselves by spouting this stuff right now in the ITSM market - it won't spread far. On the other hand, buyers are still suckers for this vendor pitch of an instant technical solution to a non-technical problem. Having a supposedly credible organisation like IBM spouting it only makes it worse. 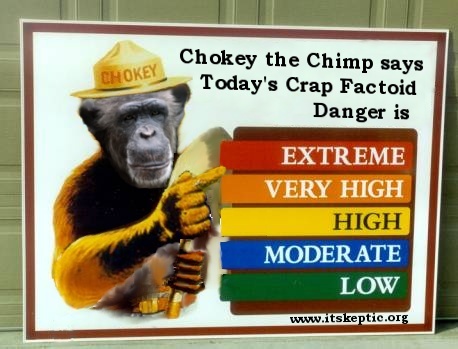 So Chokey puts the Crap Factoid Warning level at "Extreme". Oh, and "ChangeGear"?? Have we really run out of decent product names? There are so many service desk tools on the market - who had heard of SunView - that I suppose it is possible. Submitted by RichPem on Tue, 2012-06-26 00:16. ChangeGear's been around a while, started life as its name suggests as a change management ticketing and scheduling system and has bolted on other processes over time. Sadly organisations will go for this crap because it sounds so convenient, and then they can stamp ITIL all over their sales literature too. It still surprises me that in the relatively mature UK market you still find organisations that haven't even thought about service management, and many who do thinking it's just about having processes. And the upshot will be little valuable change and yet more 'ITIL implementations' 'failing'. No wonder ITIL gets a bad name. Still on one level there will be some benefit from process automation. I guess the lesson will be learned when they realise changes are still causing incidents despite a shiny new application recording them all. Submitted by Tom Rankin 1972 (not verified) on Tue, 2012-07-03 07:29.
says "And if 30 minutes is too long to wait - head over to our online demo system and take a spin right now."